That's a lot for one villain to have hiding beneath the surface, but it makes him redeemable. Hiddleston himself has no problem with fans taking such a liking to his seemingly all-bad character. "To have compassion for a character is no different from having compassion for another human being," he's said. 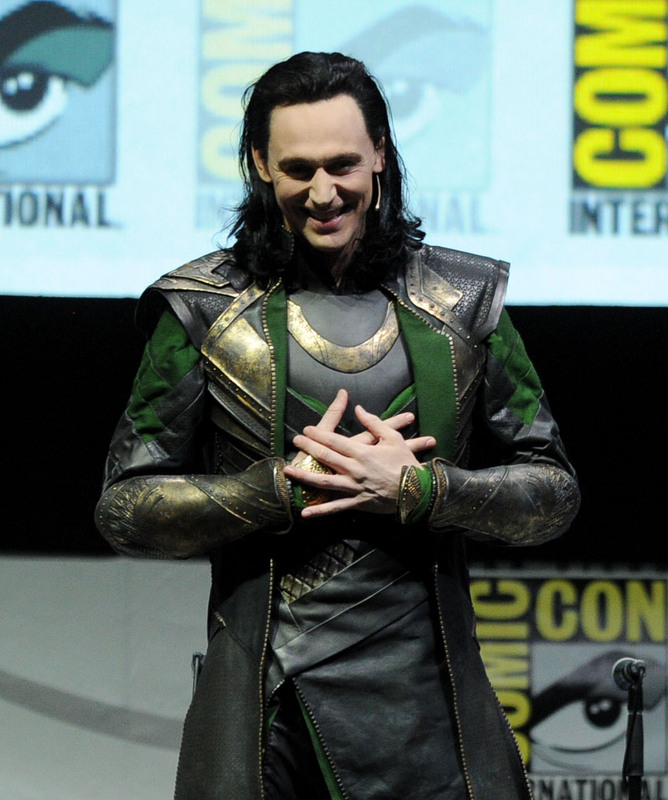 And how can you not feel for Loki when he says things like these 11 quotes? He may be cunning on the outside, but on the inside he just wants someone to care about him. "WHEN YOU BETRAY ME, I WILL KILL YOU." Technically Thor says this to Loki. But him saying "when" you betray me, instead of "if" is so painful for Loki. Not even his brother trusts him anymore. "YOU MUST BE TRULY DESPERATE TO COME TO ME FOR HELP." I don't think this is him being snotty (though Loki does have a sassy side). I think he knows he's Thor's last resort, and that has to hurt. Also, consider Loki's line to Fury in Avengers, "How desperate are you, that you call on such lost creatures to defend you?" Basically he's admitting he's the lost creature now. Loki whispers this when he realizes he's a Frost Giant and everything comes crashing down around him. You can almost see Loki reliving the moment when Thor once promised to erase his kind and called them monsters. He's grown up thinking that Frost Giants are the worst kind of people and that's pretty damaging for him when he learns he is one. "YOU TOOK ME FOR A PURPOSE ... SO I AM NO MORE THAN ANOTHER STOLEN RELIC, LOCKED UP HERE UNTIL YOU MIGHT HAVE USE OF ME?" Odin took baby Loki with the intention of using him to unite the warring lands one day, not because he actually wanted Loki. Being unwanted is hard enough to swallow without also learning that you basically exist to be of use to a person. Even worse when that person was someone you once thought of as your father. "I AM THE MONSTER PARENTS TELL THEIR CHILDREN ABOUT AT NIGHT." Oh, Loki. If only you could have seen you were so much more than that. "I NEVER WANTED THE THRONE, I ONLY EVER WANTED TO BE YOUR EQUAL." It always comes back to that. So many problems and tensions would go away if everyone was treated equally. "I SAVED OUR LIVES, AND THOR'S! I HAD NO IDEA FATHER WOULD BANISH HIM FOR WHAT HE DID." Loki told a guard to send for help when Thor left to fight the Frost Giants in hopes that their father Odin would stop Thor before he got hurt. Instead, Odin banished Thor and Loki now feels like it was his fault, when really his heart was in the right place. Putting that blame on himself was far from healthy. Oh, and to top it all off, in this scene Hiddleston is picking at the hand that turned blue and revealed he was a Frost Giant. It's killing him to be one of them, and his stellar acting is killing me. "I'M NOT YOUR BROTHER! I NEVER WAS!" Poor Loki. He wishes so badly he did have that family connection, but he knows he'll always be the outsider. "IT ALL MAKES SENSE NOW, WHY YOU FAVORED THOR ALL THESE YEARS, BECAUSE NO MATTER HOW MUCH YOU CLAIM TO LOVE ME, YOU COULD NEVER HAVE A FROST GIANT SITTING ON THE THRONE OF ASGARD!" Whomp. Loki has some serious and understandable issues with his father after learning he was lied to his whole life. "I REMEMBER A SHADOW. LIVING IN THE SHADE OF [THOR'S] GREATNESS." Thor is the person against whom Loki was always measured, and to whom he would always fall short. It would be hard not to hate someone who represents all that. The moment where Loki drops the games and shows Thor what he really looks like locked inside that cell broke my heart forever. And this is why I can never really hate Loki; inside he's just a sad little boy looking for love.